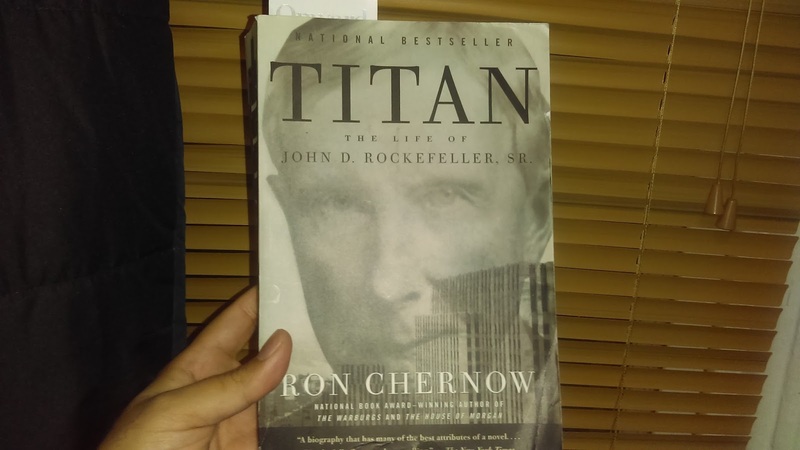 John D. Rockefeller: Greed, Philantropy, Family and Purpose. From beginning to the end, the life of John D. Rockefeller is a powerhouse. Described both as a man possessed by the greed of wealth and a man of great work in philanthropy, Ron Chernow’s leaves this legacy’s judgement up to you. Conclusions and verdicts are often easy to come about with biased information. But similar to how Rockefeller made business decisions, an argument’s side should be made when you can defend both sides of a story. This isn’t going to be a complete cliff notes version of this story. We all can read, and I highly recommend you pick this book up. However, I will give you my take away points from this book. Rockefeller did grow up poor and was practically raised by a single parent. These hardships weren’t an excuse. They were used as experience that propelled him to view problems and obstacles as opportunities to prove himself. And as puzzles to solve. You could say a blessing in disguise. Despite, being highly controversial in business, throughout the process, he realized that he was doing something that was greater than himself. It was his vision based on decisions made in the moment that led to the empire he built not only for wealth, but for his family. If you’re like me or any other person in this world, you at some point in life were concerned about being accepted in this world. Sometimes this acceptance can prevent us from going after our dreams and the life we want. It’s easy to give in to the fears and social pressures we face daily. Even the countless of excuses on why we can't do something. But don't fall for that. You don’t necessarily have to create something new or be an entrepreneur. But be a part of something that makes your life fulfilled and gives you purpose. Oddly enough, after Rockefeller retired from Standard Oil, not only did his philanthropic gifts grow, but so did his wealth with dividends. It’s obvious you don’t want to give with the intentions of getting something in return. If you have that mindset, you will be disappointed. But when it’s done from the heart, you often see a return twice as large. Things have a funny way of paying off. What's your why? Share your story on being part of something bigger than yourself.